I don’t recall ever seeing one of these little millipedes before, but it’s probably just that I never paid attention. 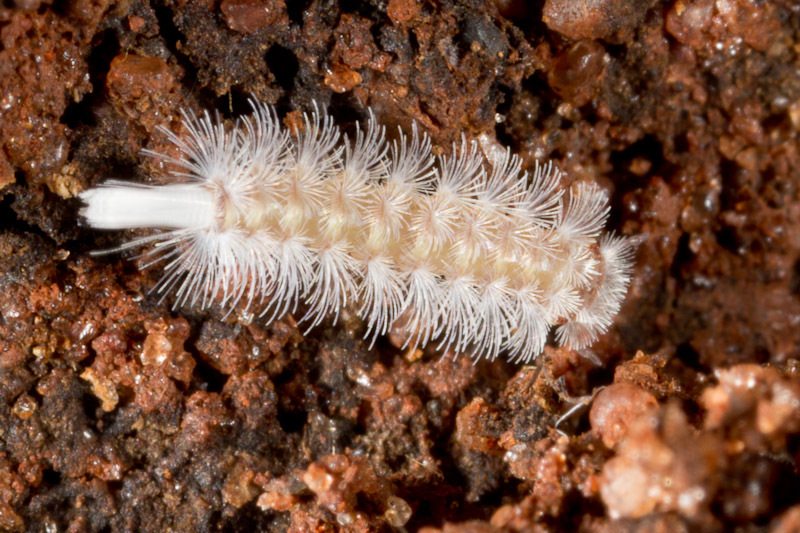 These small millipedes in the order Polyxenida never measure more than 4mm based on everything I’ve just read. The only reason I recognized this one was because of a recent appearance in one of Ted C. MacRae’s identification challenges. This one was found crawling around in the soil beneath a log.